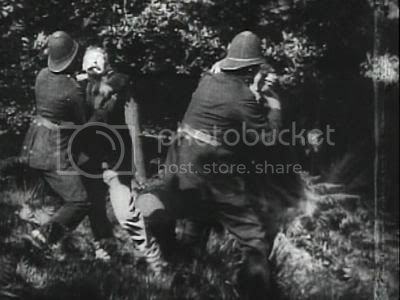 This is the most violent film of the early cinema period, in the modern day it would be be termed as a 'shoot em up'. 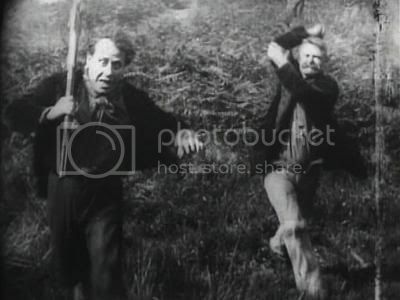 The chase theme was a very popular one in early cinema, and this is no exception. 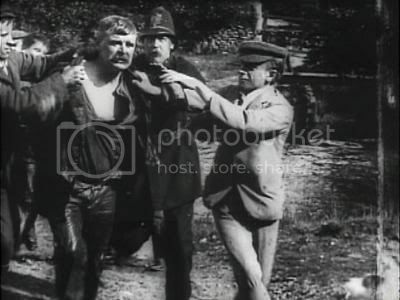 This was one of the most succesful early films, earning it's maker, Haggar and Sons, who travelled around fairgrounds in Wales and western England with a travelling tent cinematograph show, a good reputation. 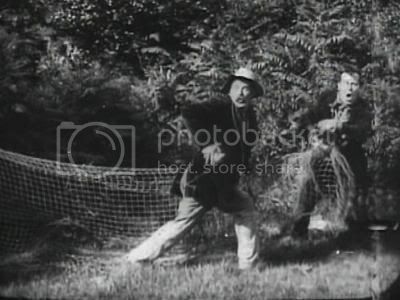 The film starts showing two poachers realising they've been seen, and throwing their net down and hiding in the bushes. 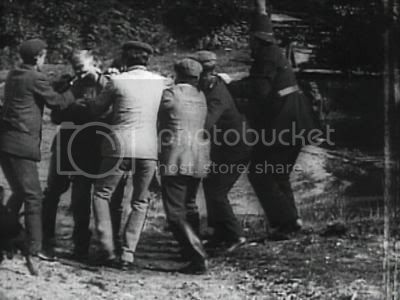 Gamekeepers and Policemen appear, but take the wrong route, giving the two poachers a chance to escape. They are then noticed and a chase starts. The next shot shows the poachers running down a hill, now armed (it's not clear where they got the weapons from). When they get close to the camera, they turn and open fire on the chasers. 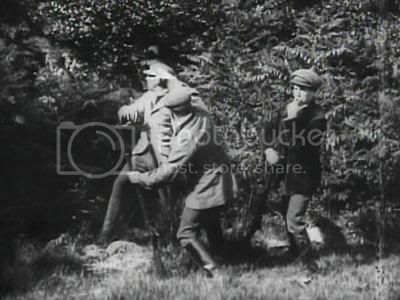 At the edge of the wood they are caught, and subdue two men, and fight off some more, as well as Policemen, still remaining armed. 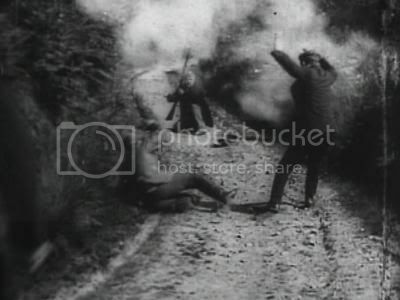 They run down a lane, stop, turn and fire, hitting and presumably killing two of the gamekeepers.